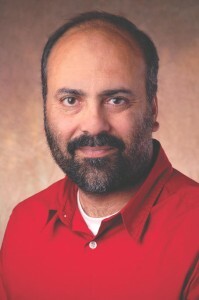 University of Regina professor Shahid Azam is the kind of thesis advisor that gives prospective grad students nightmares. According to the CBC, Azam lost a paper in Environmental Geotechnics for plagiarizing the work of his student, Arjun Paul, without bothering to cite it. Azam went on to trash the student’s ability to the CBC reporter. He’s got two excuses, but we’re not sure which is more repugnant – that he wrote much of his student’s thesis for him and so deserves to steal it, or that plagiarism is standard practice in engineering publishing. Azam said he and Paul published two papers together before Paul published his master’s thesis. “I did almost the entire writing in the papers myself,” Azam explained. He said a significant section of Paul’s master’s thesis was a compilation of those two articles, meaning Azam is responsible for that part of the thesis. “None of the alleged material in the disputed paper reflected Paul’s original writing, ideas or thoughts because he was heavily dependent on me in all of these areas,” Azam said. …the ‘giants’ upon whose shoulders his work was based. Arjun is not one of those giants. We’re confused about the details of the retraction, though. The CBC report states that the paper, “Study on large strain consolidation of mine waste tailings,” was published by ICE in February 2014. It’s not available on the Environmental Geotechnics site. However, another paper with a similar name, also by Azam, “Large-strain consolidation modeling of mine waste tailings,” is still available via Environmental Systems Research. None of the text quoted in the CBC report appears in the ESR paper. We’ve reached out to Azam and the journal, and will update with anything we learn. The “retracted” paper may no longer be available, but when you Google the title and follow the link, it says: “This paper is no longer available due to copyright issues.” This may be a new euphemism for retraction. It’s not available on the Environmental Geotechnics site. It was pages 48–55, right between “Permeability of bentonite buffer: density and salinity effect” and “The 2010 Xerolakka landfill slope instability.” I had no success following Rolf’s prescription. From the information given I can only see two possibilities. (1) The professor has done the student’s work and allowed the student to submit the professor’s work as his own. Therefore, the student is guilty of plagiarism and the professor is guilty of allowing such plagiarism and for not adequately supervising the student. consequence: revoke student’s degree, at least until such time as the student, supervised by another member of staff, can produce a sufficient body of their own work AND sack or force retraining of the professor, who cannot understand the basic role he has to play as a researcher and teacher. (2) The professor has plagiarized the student, in which case you sack the professor. I suspect the University will do nothing, but I am willing to be happily surprised. Alternatively he could have put the students name on the paper containing this work and none of this would have happened in the first place. We have heard (via CBC) the professors stance. It would have been interesting to hear the students perspective also, I guess CBC could not locate the student for contact (or did not try). Arjun Paul said he’s frustrated and surprised by his former professor’s comments. Paul said he wrote the papers and the thesis himself and then submitted them to Azam for editing. He said he completely disagrees with the claim that his former prof wrote the papers and part of the thesis. And he defended his academic ability, saying he earned his master’s degree by hard work. Paul said given that, it’s hard for him to understand why his professor would say these things. If Paul “did not have the experience to select, analyze and interpret data from the literature and draw meaningful conclusions”, when he is already at the master’s thesis stage and has presumably had nearly two years of graduate instruction, why isn’t the advisor, and fellow faculty, either training him to do this, advising him to get such experience, or dismissing him from the program? If Azam’s statement is true, why would he want to essentially publicly state that his institution admits crappy students and lets them remain crappy for the duration of the program in order to graduate them into crappy researchers? I realize Azam is trying to blame the student (who might not be that mediocre), but he’s also revealing his own department and its degree program to be shoddily managed. Why isn’t that as much his fault as that of his colleagues in the department and admissions? Cora, I think you’ve hit the nail on the head – and an issue that is not often explored, or is poorly quantified: the responsibility held by the research institute. Although this is clearly a personal dispute, and ultimately a failure by both parties, it also shows failure by the academic institute at which both are/were found: University of Regina (http://www.uregina.ca/). Incidentally, on the top page of that university, there are “Featured stories”. I wonder if the UoR will be courageous enough to make itself the focus of attention, and reform, using this story as a learning point? Ito, M. & Azam, S. (2010). Determination of Swelling and Shrinkage Properties of Undisturbed Expansive Soils. Geotechnical & Geological Engineering, 28(4): 413-422. doi:10.1007/s10706-010-9301-0. Ito, M. & Azam, S. (2013). Engineering properties of a vertisolic expansive soil deposit. Engineering Geology, 152(1): 10-16. doi:http://dx.doi.org/10.1016/j.enggeo.2012.10.004. Owolagba, J. & Azam, S. (2014). Geotechnical properties of centrifuged oil sand fine tailings. Environmental Geotechnics. doi:10.1680/envgeo.13.00079. Environmental Geotechnics is a relatively new journal, and there is an introductory editorial from Azam. This has probably been going on for some time. on the surface, we are implanting it, and it will rise up a thousand fold in the future.